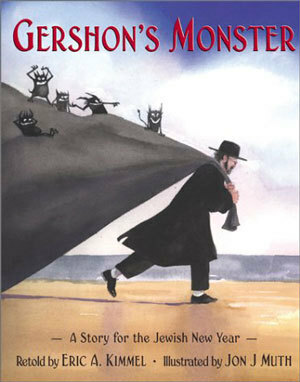 Eric Kimmel’s Gershon’s Monster is my favorite book for Rosh Hashana, the Jewish New Year, which we celebrate tonight. I wish my kids were still small enough to read picture books to them. Perhaps I can persuade my youngest to listen to this story one more time? 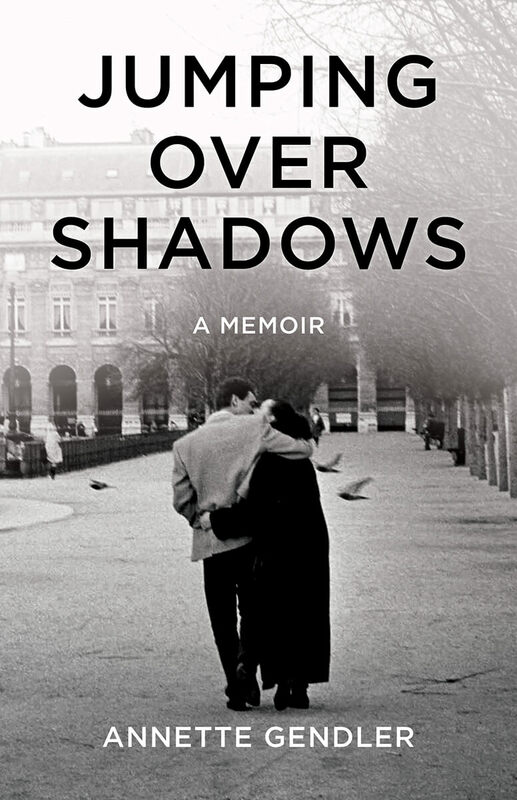 To enjoy the illustrations one more time that are so infused with light and yet so stark in dark contrasts? 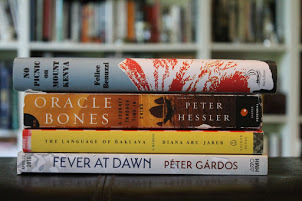 For years, just before the High Holidays, I’d get the “Rosh Hashana” books down from the shelf where I keep the special holiday books, pile them on the couch in the kids’ room, and every evening I’d read them a different one. Or sometimes the same one over and over, like this one that is a bit scary as Gershon’s sins, which for many, many years he swept into the sea, return to devour him in the form a sea monster. In a way I always found that scariness fitting for these Days of Awe when we are reckoning with how we have conducted ourselves over the past year. We’re supposed to be a little in awe, a little scared, right? To all who celebrate Rosh Hashana, I wish a shana tova (a good year)! What a lovely tradition! I hope the kids will be up for the picture book – just for old time's sake! Steph – thanks! In fact, my older son remarked quite happily that he remembered that book when he saw this post.